My name is Ayah. I was born and raised in Australia and I come from a Lebanese-Muslim background. I also have a hearing impairment. Growing up, I faced many challenges due to both my ethnicity and hearing loss. Until one day I realized, I do not need to fit anywhere. My identity is just that: an Australian, Lebanese-Muslim woman with a hearing loss. 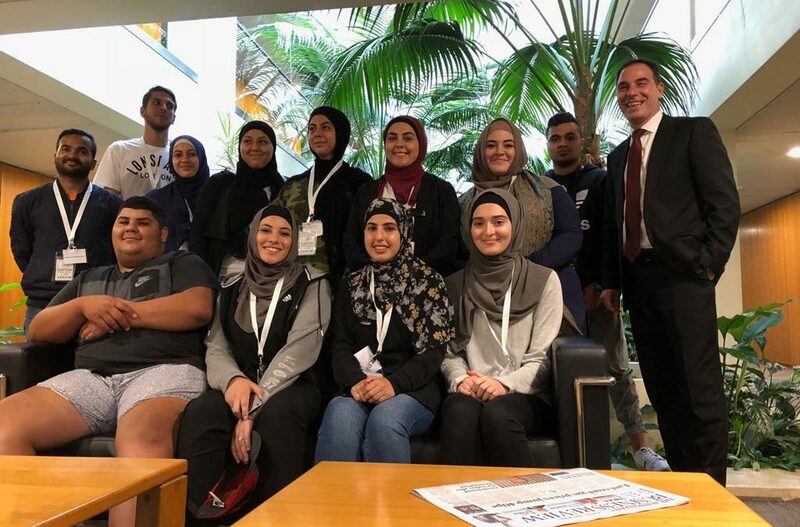 My journey of self- discovery and passion to understand the world around me, led me to pursue a career as a Social Researcher and become an advocate for Deaf and hard of hearing Muslims living in Sydney, Australia. I recently graduated from the University of New South Wales with a degree in Social Research and Policy. 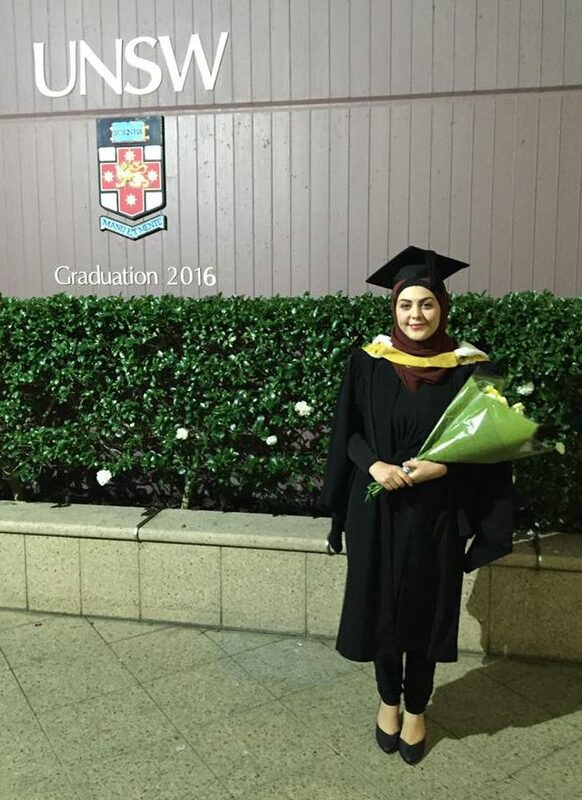 I completed my honours thesis last year about Australian, Lebanese-Muslim women in Sydney with Hearing Impairment. I am now working as a researcher and also volunteer in different community events to try and raise awareness about hearing loss in the Muslim community as well as diversity in deaf discourse. 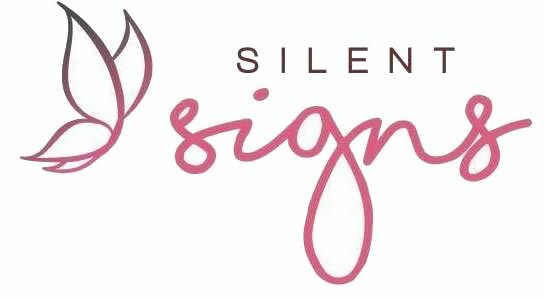 I first created the Silent Signs Facebook page on December 2014 to try and share my experiences as someone with a hearing loss and my journey of getting the cochlear implant. I shared some of my stories, thoughts and the silent signs I’ve experienced. Over the years my page has progressed and now I also share some of my research journey and community events which I am involved in. Now I am expanding and with the amazing assistance from Houssam Bizri, created this website as a platform for anyone who wants to read my personal Blogs or find our more about my Cochlear Implant Journey, Research, Religion or Events. My webpage is open for anyone and everyone and I hope by sharing my personal experiences, more awareness is created. Before I could answer, before I could stop myself from laughing at the absurdity of such a question, to my amusement I replied with one word: “lonely”. It’s not the question that has engrossed my mind, it is my response that has baffled me. Surprised me. Not because it’s the first time this question has been posed, but because my reply is one that exposed me. How can I be lonely? I come from a large family, I have many friends and heck I’m Middle Eastern, a lot of cousins! I’m friendly and I’m loved. I’m social and I’m blessed. And my family are soo supporting, loving and encouraging. Why did I blurt it out before even blinking. It was like the words uttered from my mouth without thinking. From then, I took it as a sign that something deeper is eminent. There are things so hidden, they’re prominent. Signs have many different meanings. Heavenly signs, sign language, road signs. Some signs are visible, vivid. Some signs are symbolic, others literal. Some signs indicate a certain path you might take, or signal laws to obey. But some signs are silent. So silent that sometimes you may miss them. So silent that their sudden awareness opens up infinite mysteries and possibilities; things about you, yourself, the world, that you never knew existed. And those signs may just be the most powerful signs of all. I am hearing-impaired and blessed to be so. Being deaf or hard of hearing is a silent battle with silent signs. I always say that it’s a blessing and a curse. While my hearing-loss poses limitations, it has given me a unique perspective about the world. I’ve created this page to share some of my stories, thoughts and the silent signs I’ve experienced. Writing has become an outlet for me to explore, vent and express my thoughts and feelings. It took me a long time to finally make a page because what I will share are personal. And I do not want to seem up myself. But then I figure, what if other people are feeling the same? What if other people are suffering their own silent battles or have silent signs pass them by?